The FOP is granted the right to do so by an Illinois state statute granting the right to request a special prosecutor if one such as Foxx is unable or unwilling to do the job. 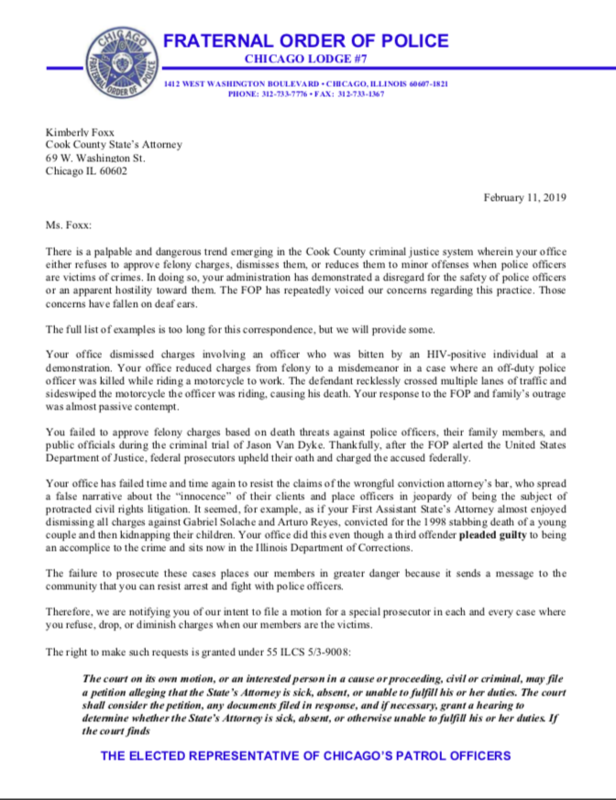 The FOP announced the new policy in a letter to Kimberly Foxx today. In the motion, FOP attorneys will cite what the Lodge claims is a pattern and practice of failing to prosecute offenders when police officers are injured, policies that give breaks to criminals and show a bias on behalf of law firms who specialize in suing police officers over claims of police misconduct. The FOP has also filed a Freedom of Information Act for data on all cases in which police officers have been listed as the victims of batteries.